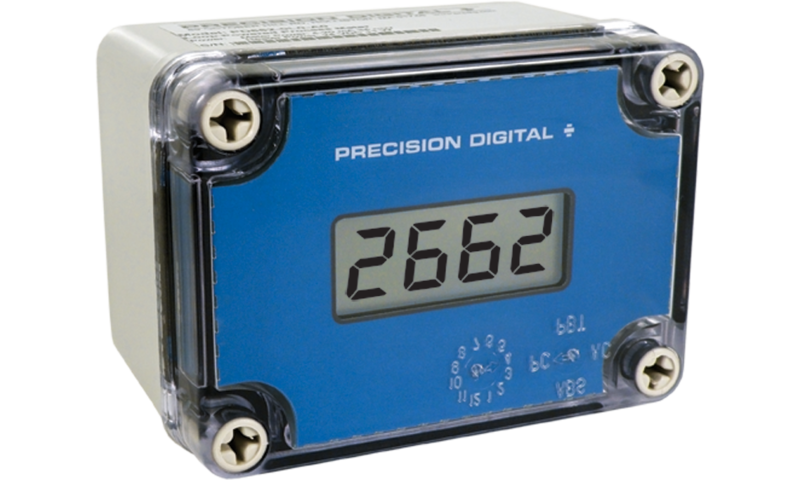 The PD662 NEMA 4X, CSA Certified loop-powered meter is perfect for applications where a simple, inexpensive display is required and AC power is not available. The PD662 derives all its power from the 4-20 mA loop, including its optional backlight feature. It can be easily scaled in the field using four push buttons; with or without applying an actual calibration signal. The PD662’s display will read up to 2999; we call this 3½+ digits! 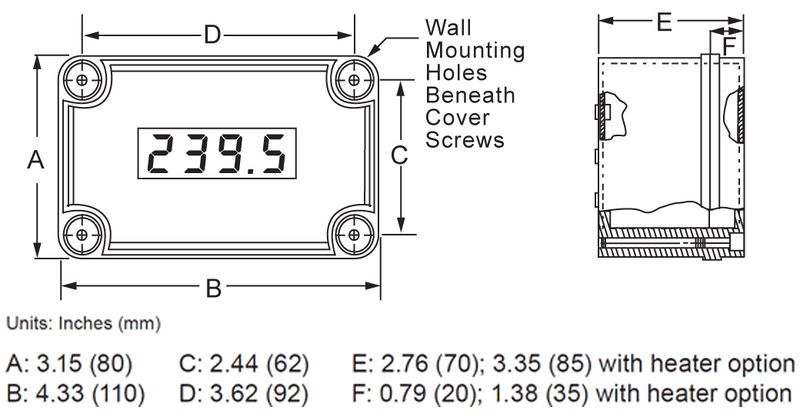 The PD662 is housed in a rugged NEMA 4X enclosure and is provided with one ½" NPT pipe conduit hole. Environmental: Operating Temperature for CSA Certification: -40 to 75°C. Functional Temperature Range: -40 to 85°C. Storage Temp. : -40 to 85°C. Maximum Voltage Drop: 1.7 VDC @ 20 mA; 3.7 VDC @ 20 mA with backlight option. Loop-Powered Backlight Option: Factory installed only with field wiring option. Powered directly from the 4-20 mA loop, no batteries required. The display brightness will increase as the input signal current increases. Power: 24 VDC, 11 W Maximum. Required Switch & Fuse: A CSA Approved fuse rated min 30 VDC, 1 A, T and a readily accessible switch or a circuit breaker shall be provided to facilitate the disconnection of power to the heater. Environmental: Operating Temperature for CSA Certification: -55 to 75°C. Functional Operation: -55 to 85°C. Storage Temperature: -55 to 85°C. Relative Humidity: 0 to 90% non-condensing. Temperature Cutoff: Internal 104°C thermal cutoff for over temperature protection. CSA Certified: U.S. & Canada. 2252 05 — Process Control Equipment. 2252 85 — Process Control Equipment, U.S. Standards. CSA Applicable Requirements: CAN/CSA C22.2 No. 61010-1-04 Safety Requirements for Electrical Equipment for Measurement, Control, and Laboratory Use – Part 1: General Requirements UL 61010-1:2004, 2nd Edition Safety Requirements for Electrical Equipment for Measurement, Control, and Laboratory Use – Part 1: General Requirements. The two wire power/signal connection is made on the back of the PD662 on the three position removable terminal block. Follow instructions printed on the unit for two wire loop-powered connections with or without backlight.